I experienced burnout some years ago and have since promised myself never to end up in that state again. 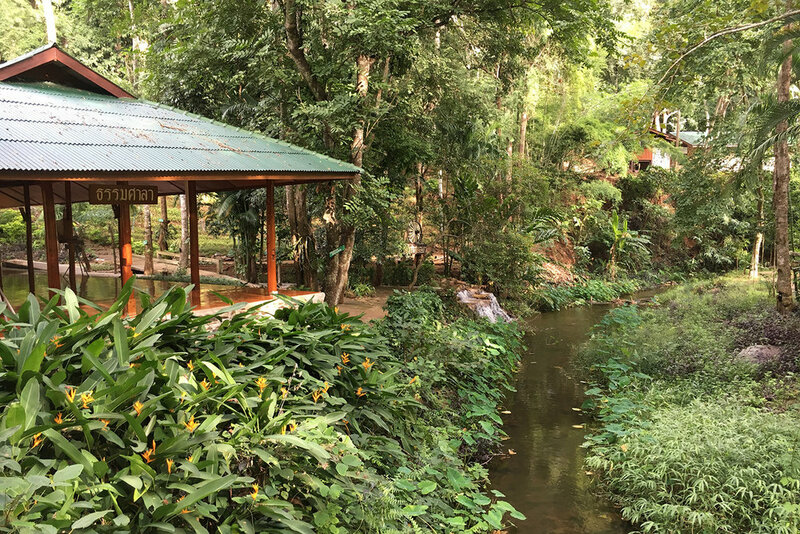 When I recently started feeling some of the warning signs, I was grateful that an inner wisdom had made me plan a complete break from everything and scheduled in a five days stay at a forest monastery between mountains in the north of Thailand. It was a chance to recharge completely, and to really feel into the experience. The state of overwhelm is interesting because it isn’t constant. There can be moments spent with friends, at work, during leisure activities, where you feel fine and are completely absorbed. But in my experience there will be a recurring return to a general sensation of being overtly s t r e t c h e d.
A friend asked me whether I truly was that busy, since I lived in Thailand, and I clearly didn’t spend 12 hours a day in an office like many people do. Which is entirely correct. However I’ve come to understand that when our body and emotional states try to tell us something, we really have to listen. We live in a society overtly obsessed with careers and achievements that teaches us to silent our bodies’ needs as much as possible in the name of productivity. But the cost in the long run is way too high. Feeling and listening to your body is not a sign of weakness. It’s the opposite. The body is very intelligent and knows what we need, if we only listen. Don’t compare your inside to someone else’s outside. We never know how the seemingly successful person feels on the inside. All we know is how we feel on the inside, and that is our experience, how we are living; the only place to be and to focus. Never compare yourself to others. Period. We are different, have different energy levels, needs, and sources that feed us. What is your experience with pressure and overwhelm? I’d love to hear about it in the comments below.